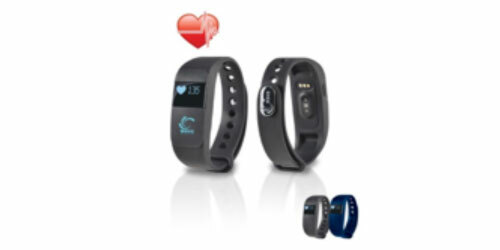 Very Fit Fitness Band with heart rate monitor - the motivation to get active! Tracking steps, Active time, Calories, Sleep monitoring, Time display, Silent wake alarm, Heart Rate, Caller ID, SMS alert, Anti-lost, Health data share, Remote camera control, Sedentary reminder, Touch activated, Wrist sense, OLED. Standby time: 5-10 days, Using time: 3 days. Software Download: "Veryfit 2.0" from App store, Google Play. Charging: USB charging cable included. Rechargable 60mAh LiPo battery. Compatibility: Most current phones on the market.